Currently filming a Danny Boyle/Richard Curtis project in Norfolk, Lily James is pictured here wearing our Ladies' Aqualamb Sheepskin Boots - perfect for keeping warm in bad weather. 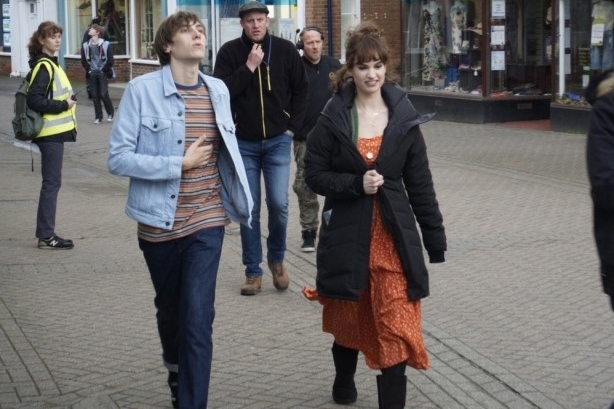 Currently the plot is still under wraps, but the film is said to possibly be a musical set in the 1970's. Watch this space!